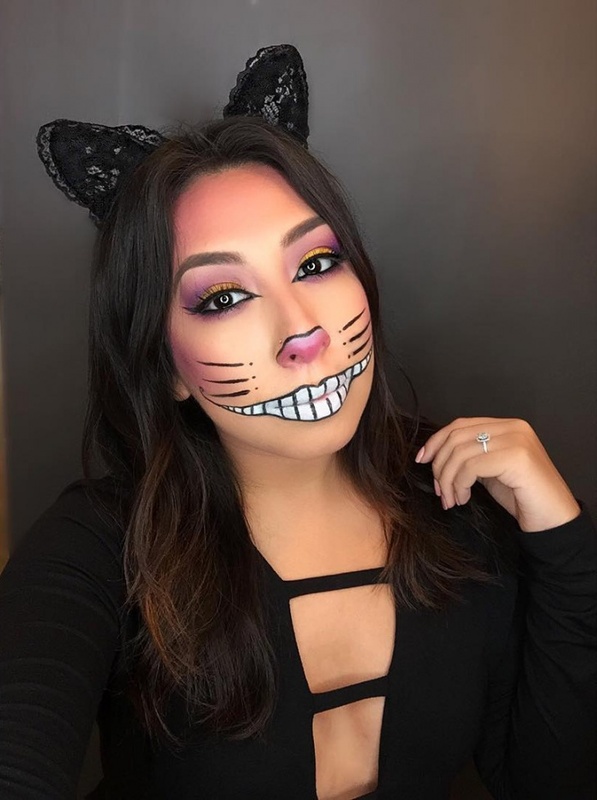 In order to recreate the Cheshire cat you will need vibrant colors to use for your eyes as well as a good eyeliner pencil that will elongate and define your eyes. You can add a set of black thick eyelashes. 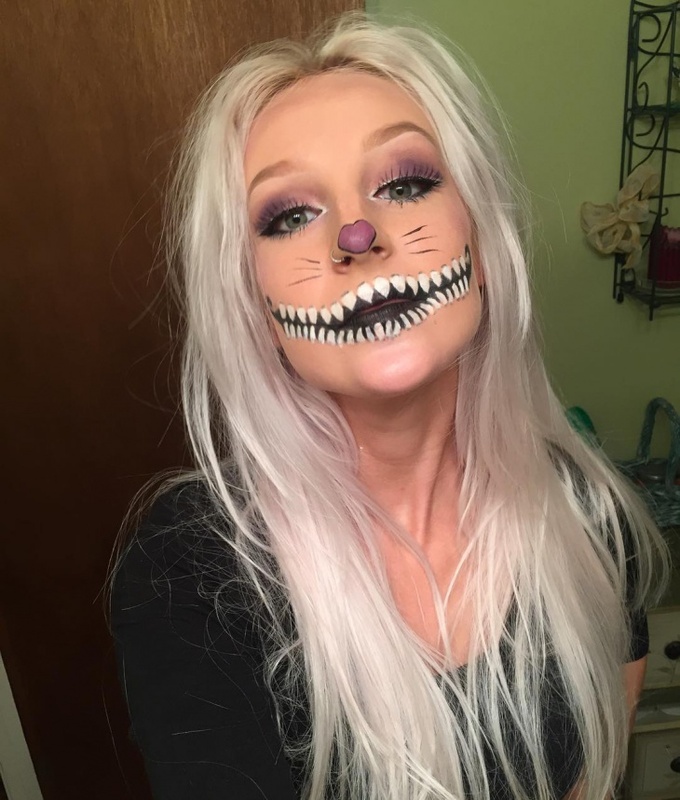 Cat eye makeup comes in many designs and looks incredible on every woman. 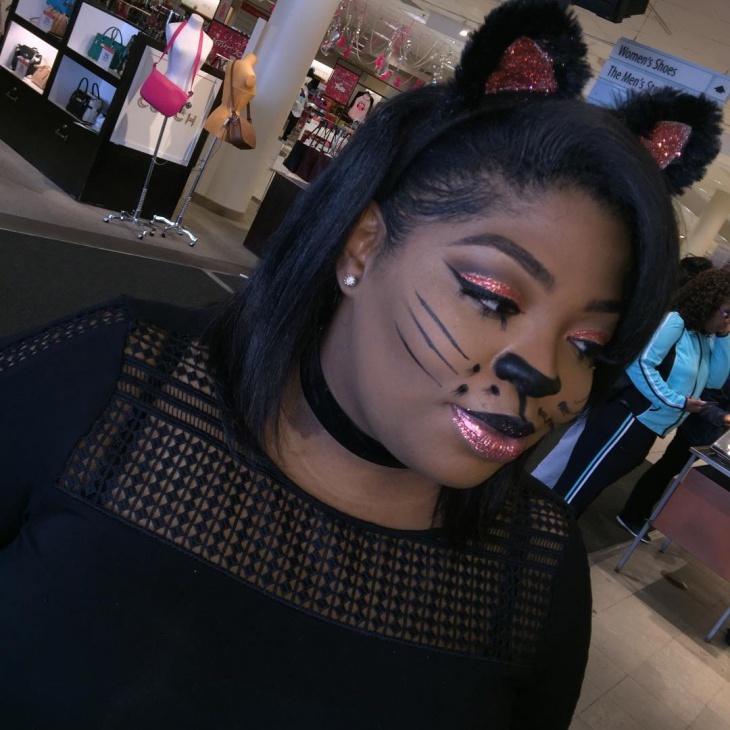 You can do it using eye shadow and liquid or pencil eyeliner in order to get that cat eye design that will make your eyes look larger. 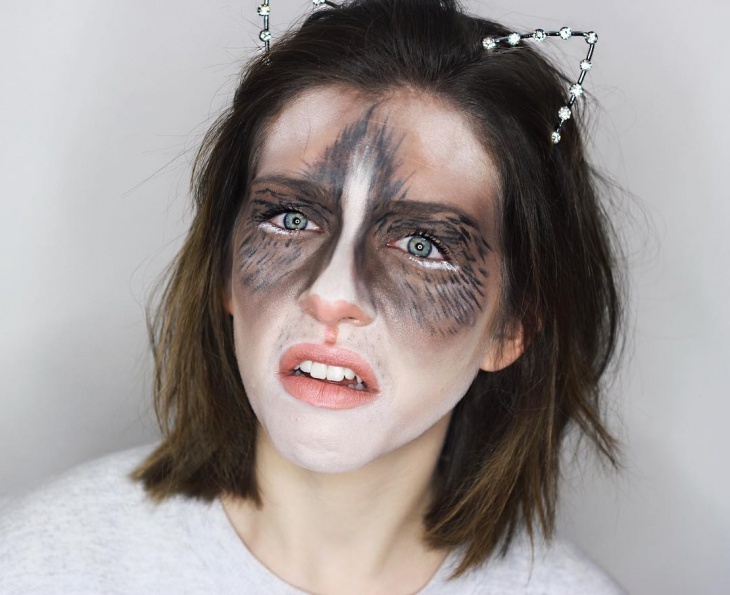 For a black cat makeup look you have to get a dramatic design for your eyes. Choose a black or charcoal eyeliner or eye shadow in order to create a thick and long line. Accentuate it with fake lashes for extra style. 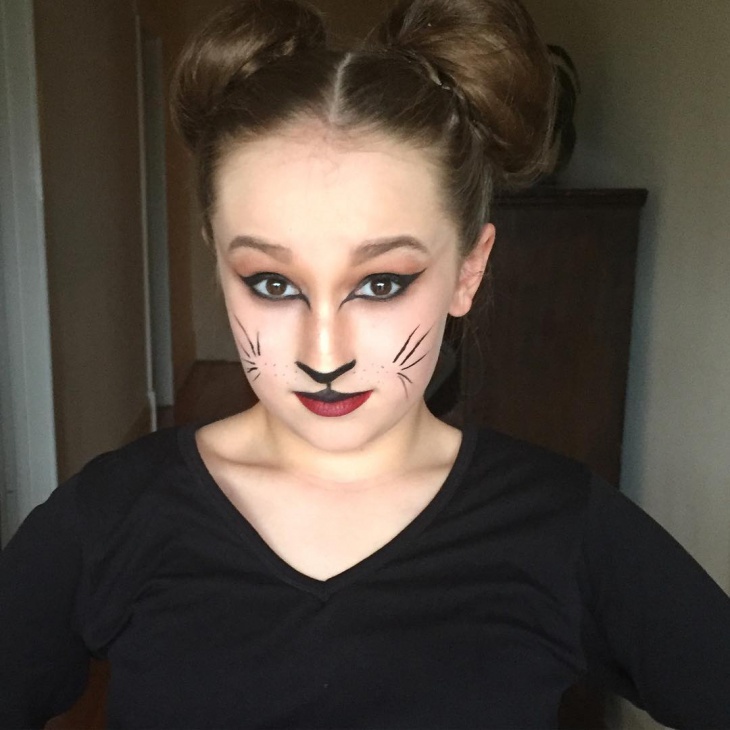 A kitty cat design has milder characteristics giving you the opportunity to incorporate various colors in your look. You can have a soft eye makeup design accompanied with wispy lashes and coral r peach red color shades for the lips. 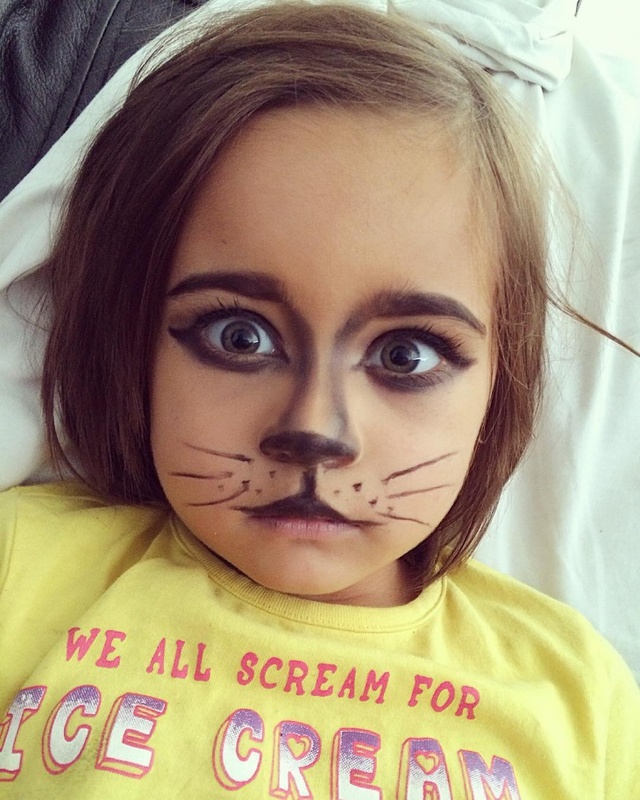 You can find many soft and adorable makeup designs suitable for kids. 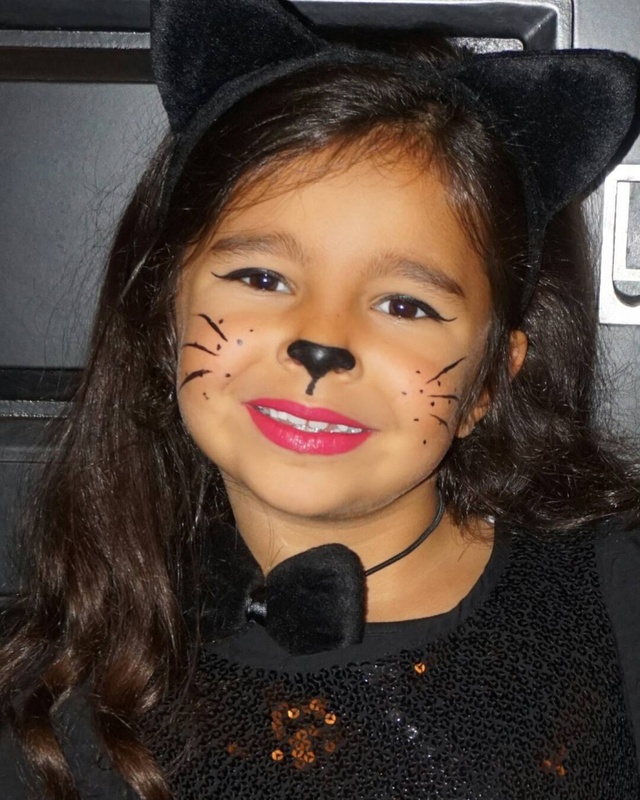 A simple design entails a couple whiskers, a soft cat eye design and pink lips that will make your kid look even more adorable that it already is. 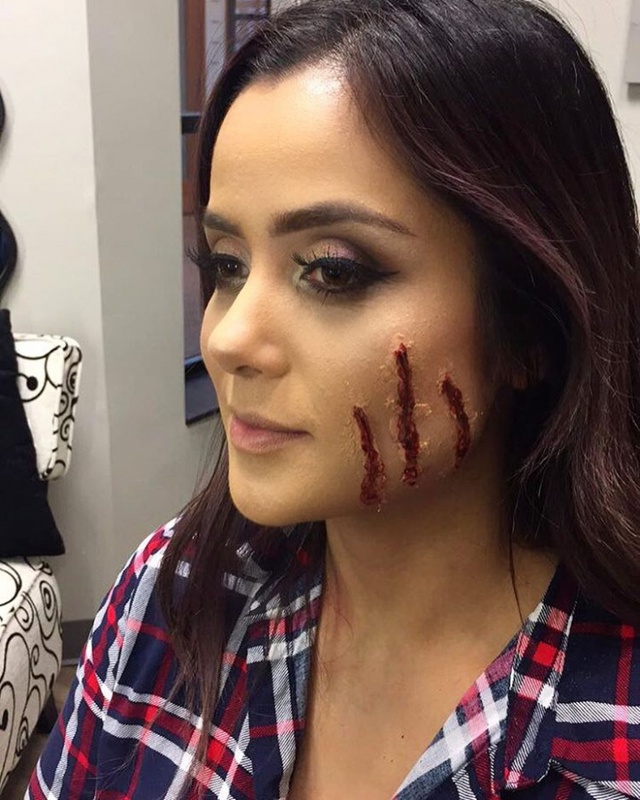 Stage makeup requires a certain level of skill. 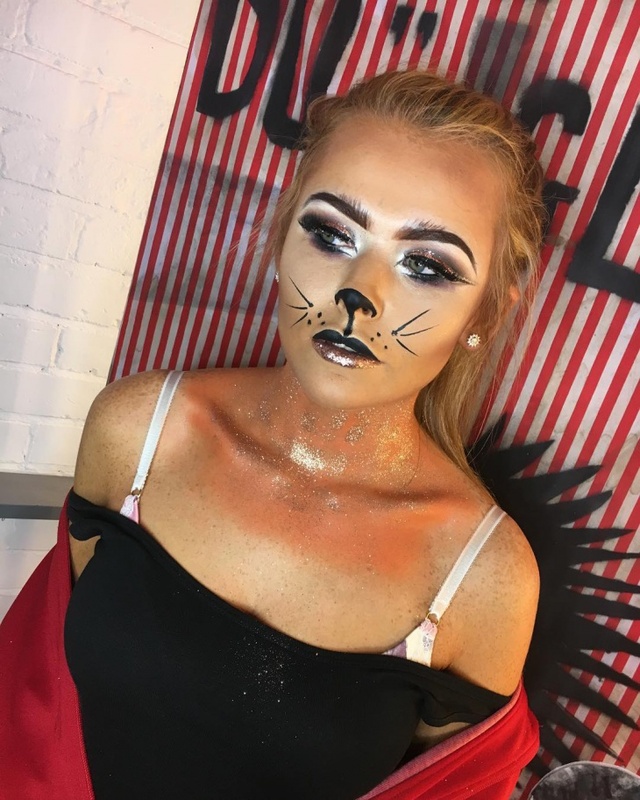 To start with you will need to contour your face to create defined cuts and then to feeling to your eyes with a dramatic cat eye makeup that you’ll complete with whiskers. 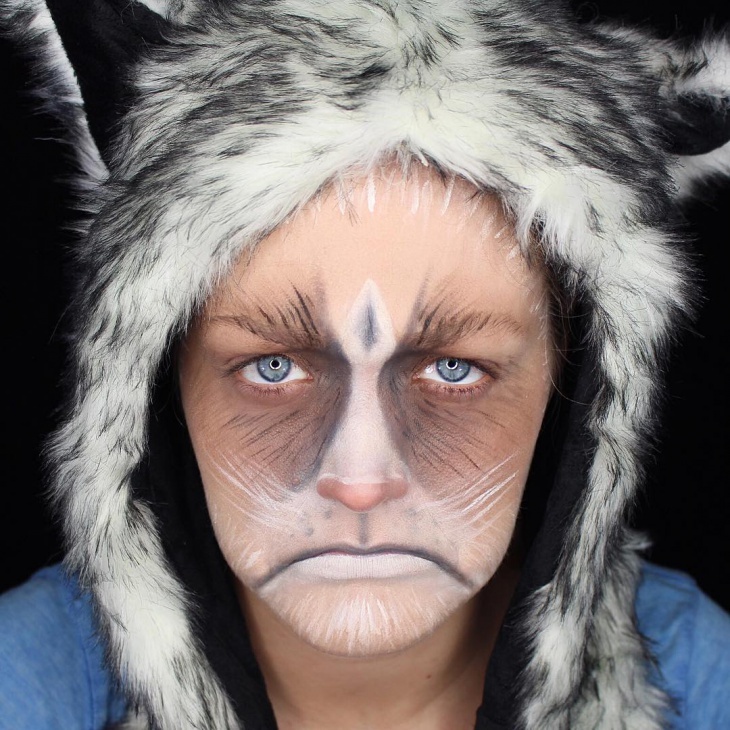 Grumpy cats have a permanent frown on their adorable face, suitable for Halloween parties. You can get it too with some extra eye shadow. Apply a brown color on your eyes and then fade it away downwards to your cheeks. 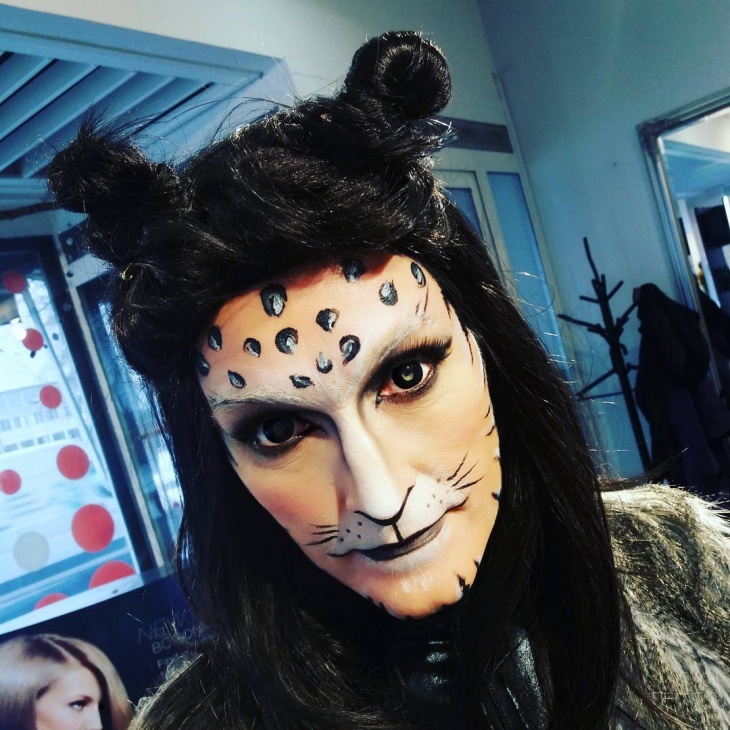 If you want a scary cat look then you have to up your dramatic designs in both your eyes and the contouring. Bring the line of your inner eye lower down your nose in order to deepen their cat shape. 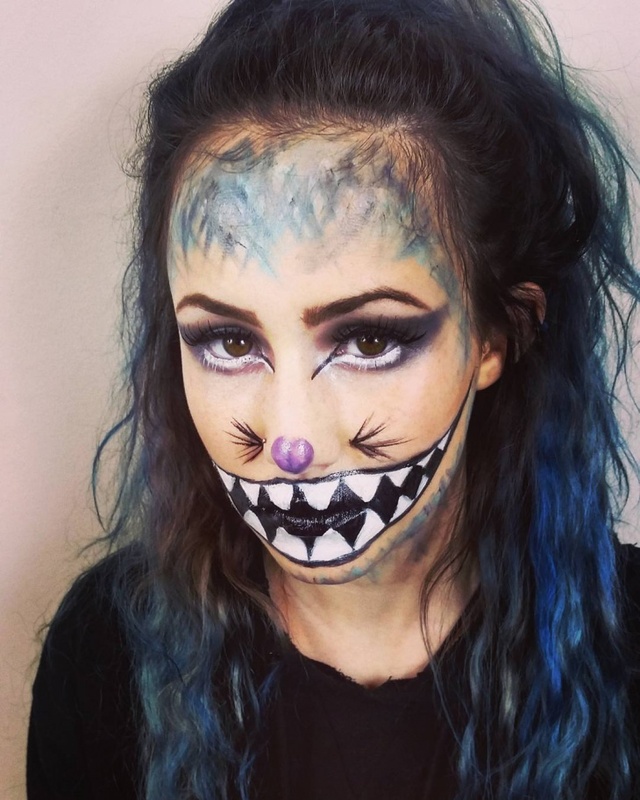 For a creepy cat look you can design an open mouth with elongated and sharp teeth that will make you look menacing. To achieve this you will have to experiment a lot, although an unsuccessful design will look extra creepy. Glitters will make your makeup look extra glamorous. You can choose a color of your choice and apply it on your eyelid in a dabbing motion for extra pigment. A pair of wispy lashes will complete the look with style. A wild cat displays strong emotions with her eyes. That means you have to focus on your eyes. Draw the outer line of your eyes longer than usual with a clean cut that will give you a bold and defined corner. 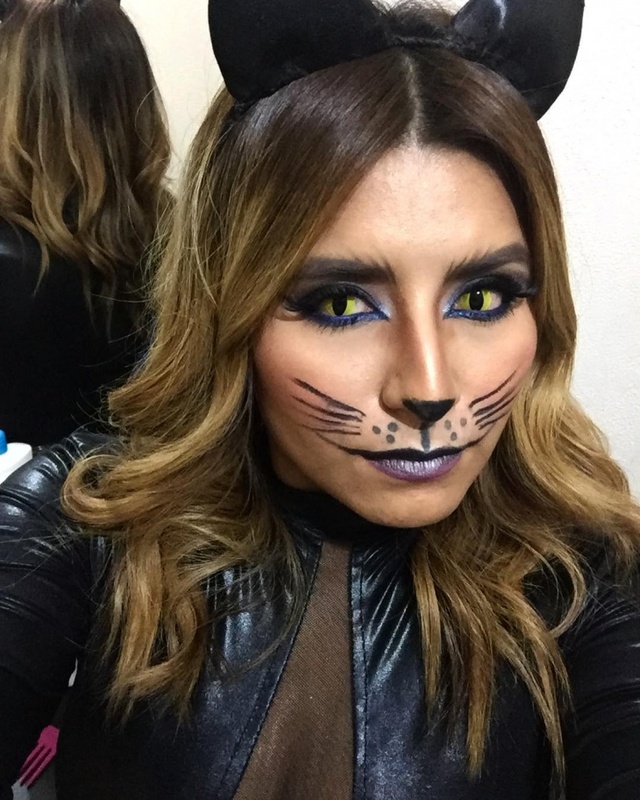 In vintage style, the cat look has a clean eye line with wispy or thick eyelashes and red lips. You can go for bolder or softer eye line depending on your personal style as well as the occasion for makeup. Cat scratches have a symmetrical look. 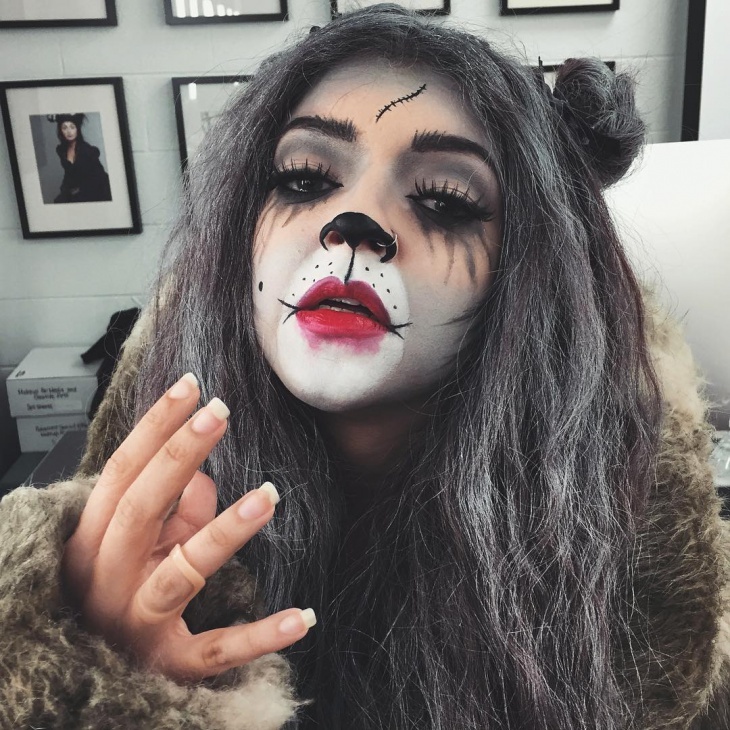 Keeping that in mind you can use materials like liquid latex and paper tissue in order to create bold scratches on your face. 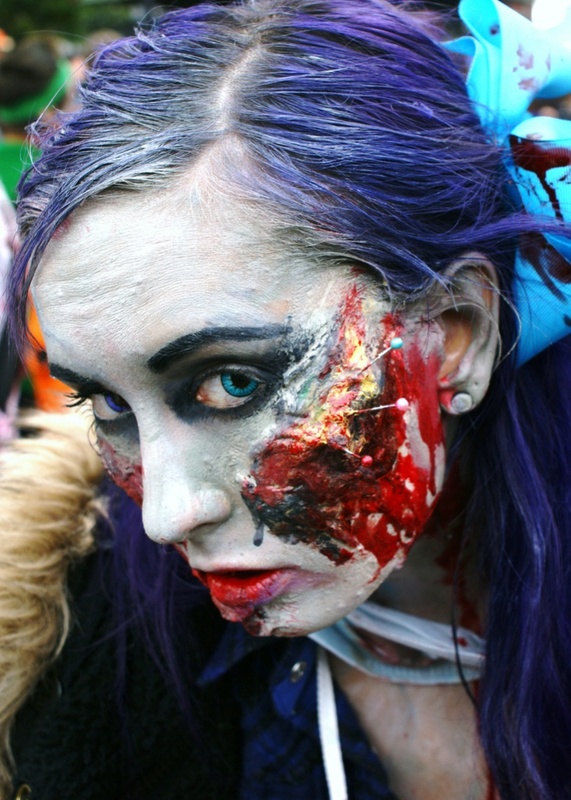 You can also add red liquid as fake blood for effect. 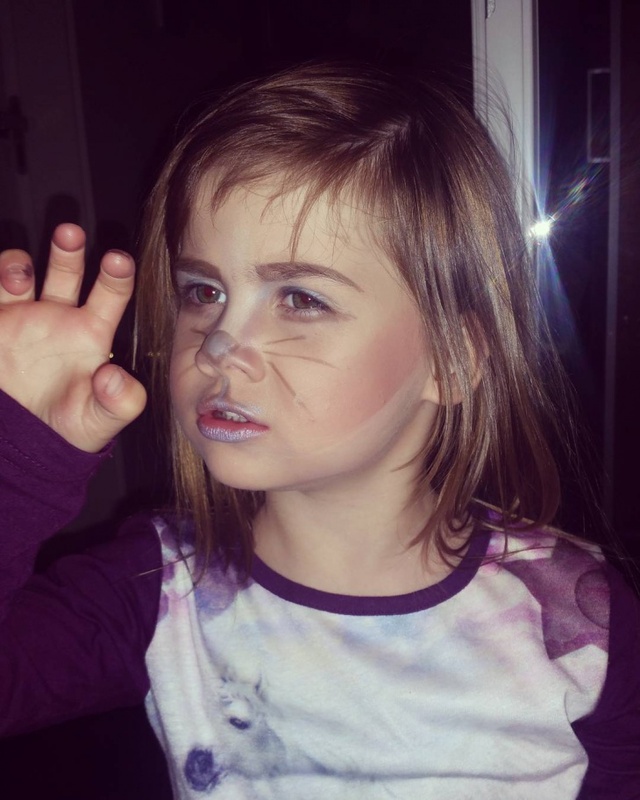 Fantasy cat makeup requires just that, fantasy. 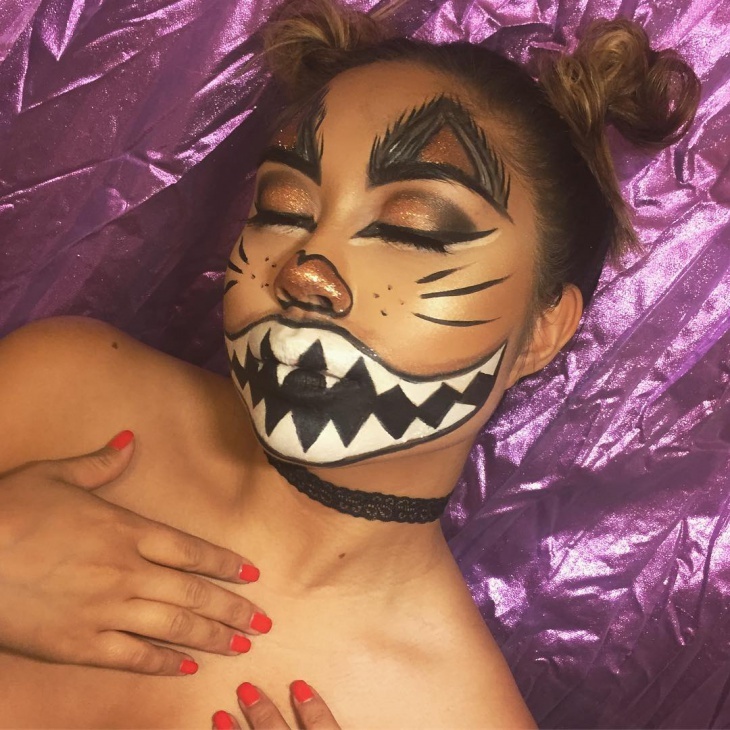 You can incorporate unusual colors and abstract designs in order to bring a stylish effect on your makeup look while you can go all out with your very own version of a cat design. Since Cleopatra’s time, women have been favoring the cat eye look. The lines on the upper and lower lines elongate the eye creating a stylish design. 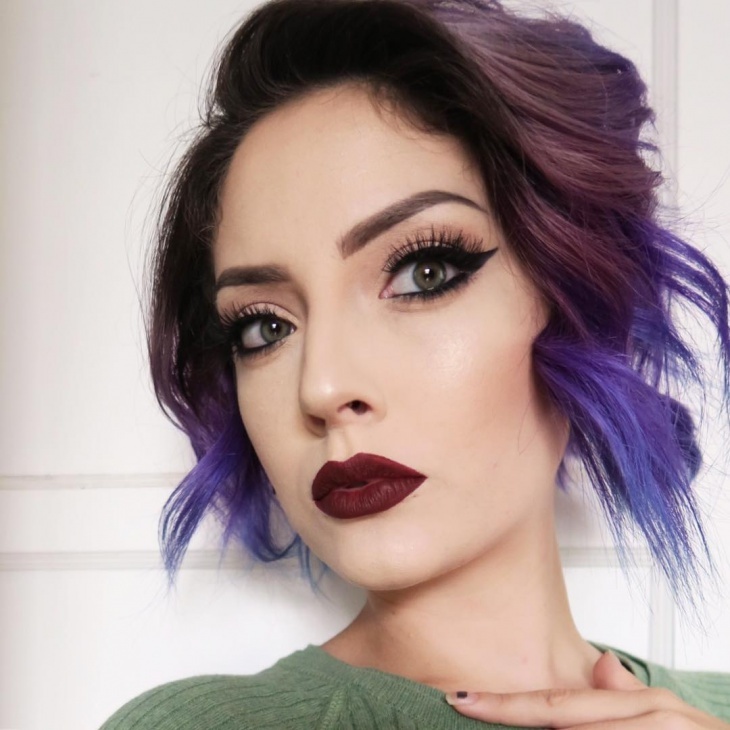 You can get this look with black eyeliner pencil or in every other color bringing you an ethnic air with a high class look. 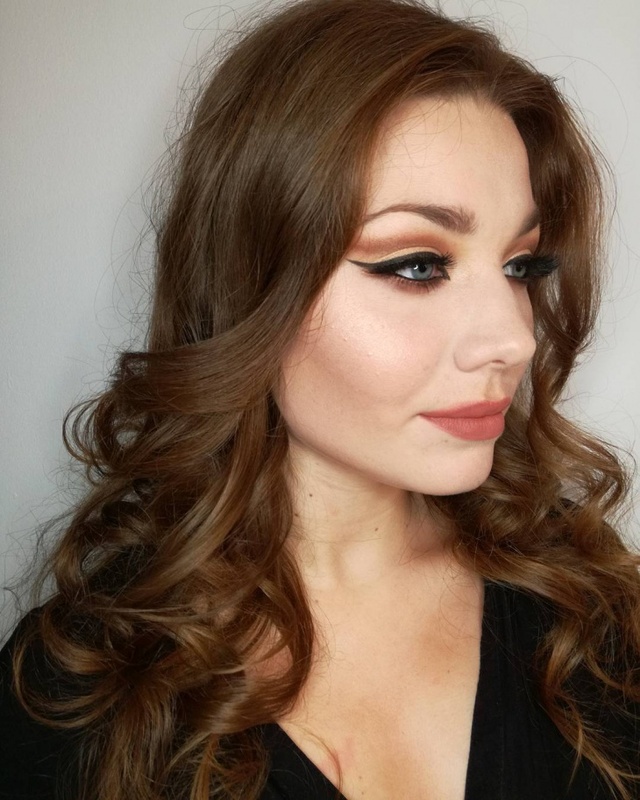 From soft to dramatic you can choose the style according to your personal tastes in makeup looks as well as the occasion for fashionable results. Choosing the right cat design is not always easy. 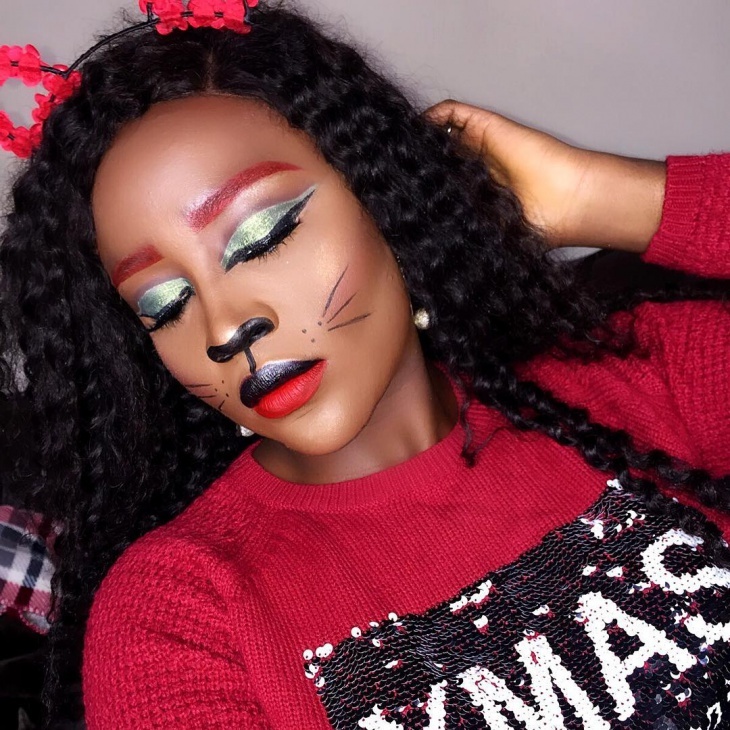 You have to experiment with various eye makeup designs in order to find what suits the contours of your face and also what complements your skin tone. This will help you achieve a stylish makeup look with flawless every time results.